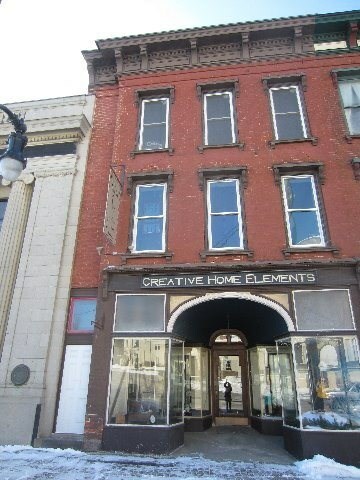 This 3 story building in downtown Malone is a good investment or perfect for owner occupancy. Mostly rebuilt with new rubber roof, windows, electrical wiring, insulation and plumbing. First and second floor occupied, third floor only needs sheet rock & flooring. First floor has beautiful inlaid mosaic tile. Very low maintenance and energy efficient.